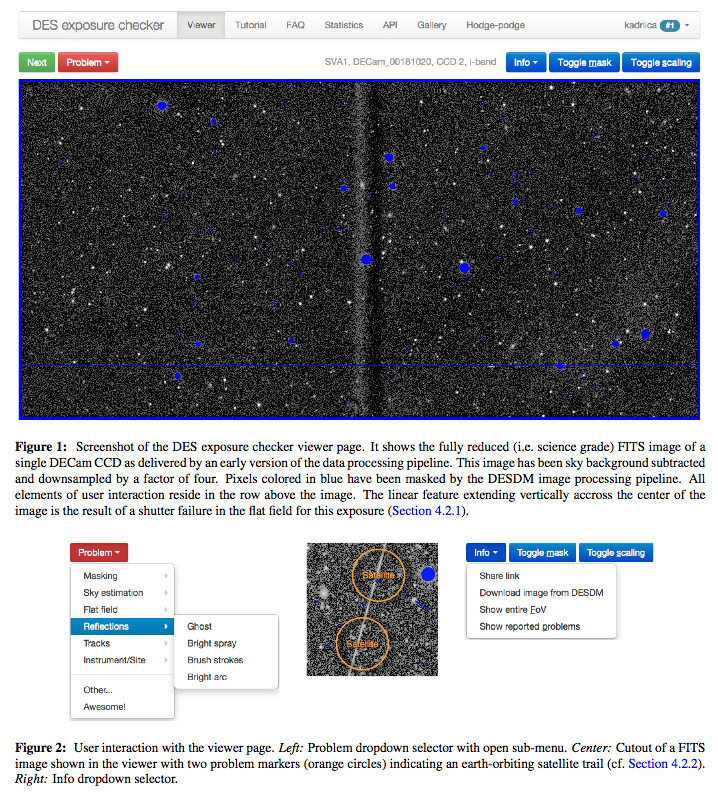 We have developed a crowdsourcing web application for image quality control employed by the Dark Energy Survey. Dubbed the "DES exposure checker", it renders science-grade images directly to a web browser and allows users to mark problematic features from a set of predefined classes. Users can also generate custom labels and thus help identify previously unknown problem classes. User reports are fed back to hardware and software experts to help mitigate and eliminate recognized issues.